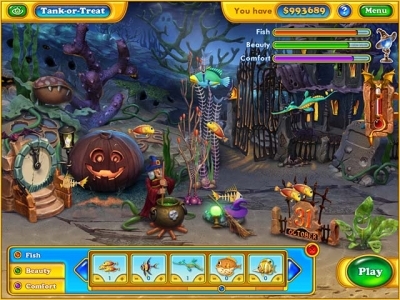 Build up your spooky Fishdom! 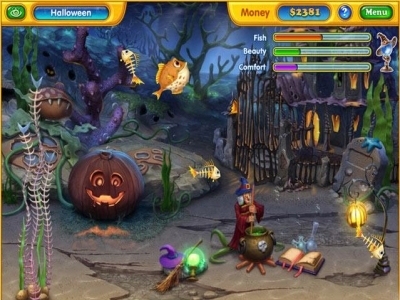 Earn cash as you complete tile-swapping levels and spend it to fix up your spooktacular tank. 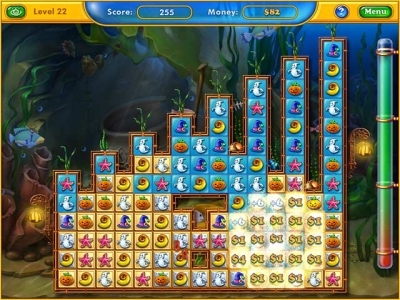 Purchase almost 200 bootiful fish and accessories to design an unlimited number of tanks in this match 3 sequel to Fishdom!